This summer experience all that Canada’s unique culture has to offer through a variety of workshops and classes across the Canadian provinces. 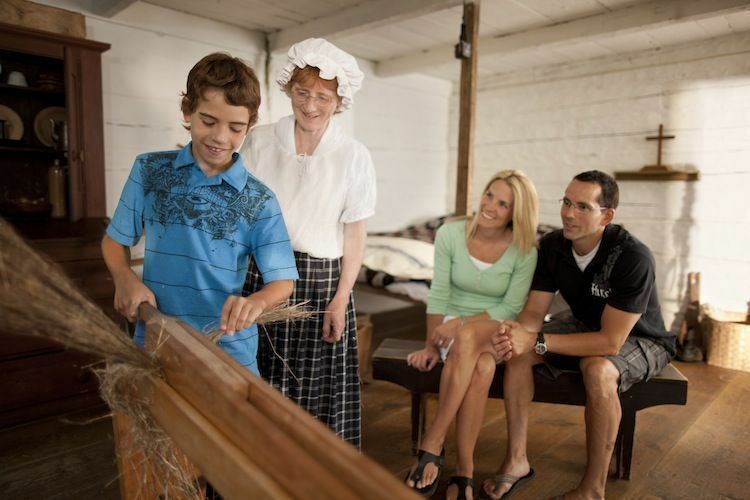 Visitors of all ages can learn about Canada’s rich culture through hands-on experiences found in various institutions across the country. From New Brunswick to Nova Scotia and Prince Edward Island, fans of crafts and cuisine will be sure to find an exciting way to personally experience Canadian culture. Craft-enthusiasts will love to visit Fredericton, Canada’s cultural capital and home to the most working artists per capita in the country. With this reputation in mind, it’s no wonder that Fredericton offers several summer courses geared towards art enthusiasts of all ages. From July 8 to August 9, guests of all ages can participate in Fredericton’s popular edVentures workshops in arts, crafts, and design. Now in its sixth year, this program offers several different workshops all taught by experienced instructors on painting, potter, photography, jewelry-making, and traditional Atlantic Canadian crafts such as rug-hooking, quiliting, and basketry. These classes start at $68/one day class, to $294 for a five-day workshop. Supplies, unless noted, are included in the price. Visit edVentures schedule of learning programs for more info or call 888/850-1333. This unique “vacation learning” program is designed primarily for those 16 years and older, but that does not mean that younger children cannot explore the rich creativity that drives Fredericton. Partnered with edVentures is the University of New Brunswick, which offers the Design Works Camps for Kids & Teens. This program offers four- and five-day camps in various topics, from fashion to photography, art and even cooking, thus providing kids and younger teens an opportunity to learn in the heart of this creative city. Prices start at $165 for a four-day camp. Fredericton also has many free events to offer, such as free outdoor concerts, open-air film showings, outdoor summer theaters, and much more; you can visit their online tourist guide for more tips and a complete calendar of events. For adventurous travels wishing to get up-close and personal with some of Canada’s amazing aquatic wildlife and other creatures of the deep should check out Ocean Quest Adventures Resort. Ocean Quest is Newfoundland and Labrador’s only full service dive and adventure resort dedicated to serving the community at large through social, environment, and financial programs that employ locals and local businesses, as well as teach lessons about environmental protection. Ocean Quest also includes on-site accommodations, an indoor training pool, retail shops, and boat service across the island, as well as several guided tours by boat and by snorkel. This summer from July to August embark on a half-day snorkeling excursion with whales for CDN$195. There is also a guided kayak tour along the Twillingate coastline amongst the nooks and crannies of 300-foot sea-cliffs; at CDN$64 for a two-hour kayaking tour, visitors can paddle around icebergs and amongst humpbacks. 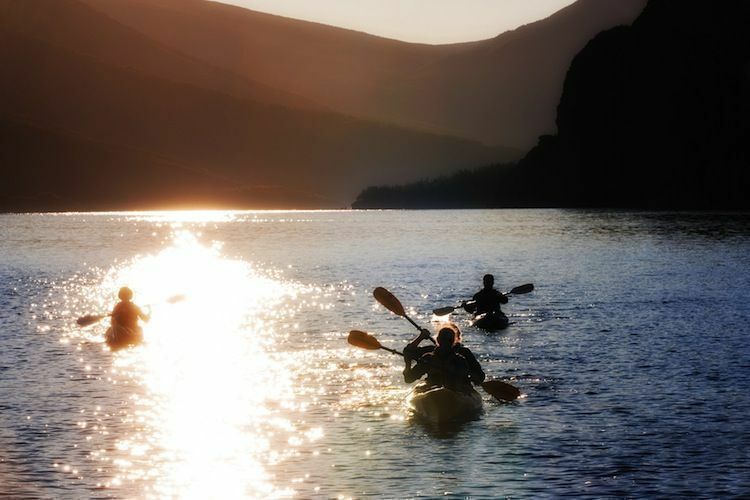 If kayaking is not your style, you can also book a CDN$78 tour in a zodiac boat. Other OceanQuest day trips, tours, and packages can be seen online or call 1-866/623-2664. For a true culinary challenge, visit Price Edward Island, otherwise known as the “million-acre farm”. Famous for its potatoes, beef, as well as its oysters, mussels, and the Culinary Institute of Canada, visitors will be able to treat their taste-buds to PEI’s local foodie scene as well as enroll in classes for themselves. The Institute hosts several Culinary Boot Camps designed for both children and adults. The four-day “Kids ‘R’ Kookin’ 1” Camp allows children aged 7-12 a chance to become chefs for the day. Children will visit a local organic farm and learn Italian, French, Mexican, and Canadian cuisine as well as cook up a special buffet for families to enjoy. This four-day program is priced at CDN$322, but hurry as classes do fill up quickly. More information can be found on the culinary camps website. Other ways to taste local cuisine can be found via Experience PEI, which features 28 different island experiences to connect tourists with how the locals work. From “Tong and Shuck”, where seafood lovers go on an oyster dory to gather fresh oysters, “Digging for Dinner” for PEI’s clams, to “Pick and Press” involving family in the process of picking local apples and making cider. For more details visit Experience PEI or call 866/887-3238.